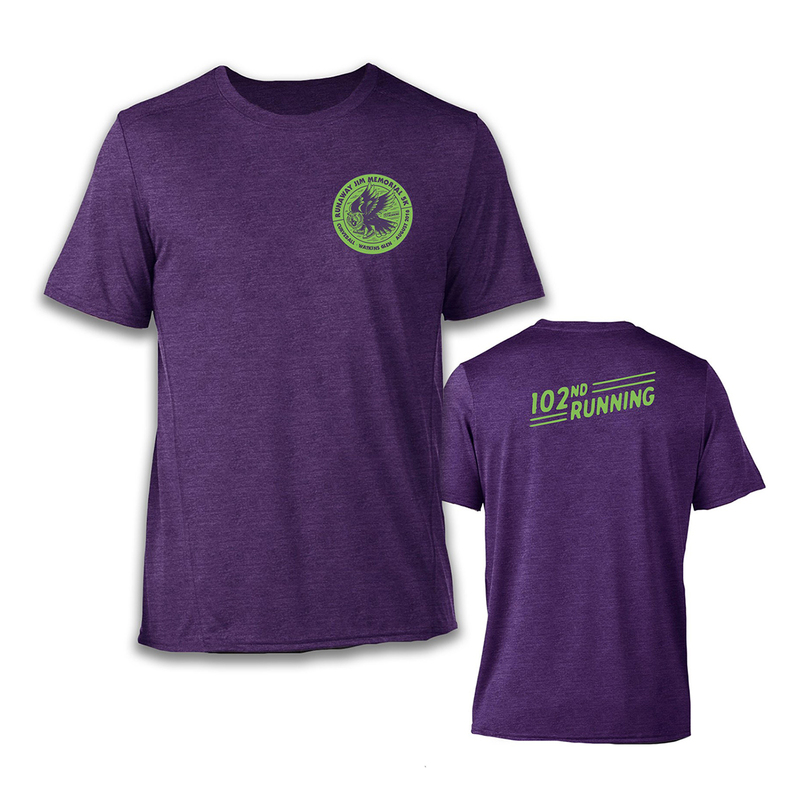 Official Tech Run shirt for the 102nd Running of the First Annual Runaway Jim 5K Road Race which will take place at Curveball this year. 100% Filament Polyester Jersey knit tech shirt with moisture wicking and antimicrobial properties. UPF 30+ protection. Great tech shirt, a step up from the type one would usually get at a running event. Wore it to the gym and it was a fun "stealth" way to let the Phish flag fly! Simply the best deal! Premium tech material, and I’m gonna buy another right now! ??? ?